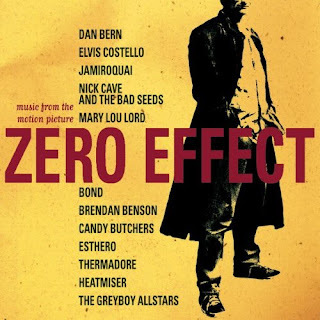 As part of the Chronological Snobbery coverage of the tenth anniversary of the film Zero Effect, today features interviews and commentary on the film's soundtrack., including new interviews with Esthero, Neil Gust of Heatmiser, Mike Viola of the Candy Butchers, and Chris Stillwell and Michael Andrews of the Greyboy Allstars). Released in January of 1998, prior to the premiere of the film itself on January 30 of that year, Zero Effect: Music from the Motion Picture boasted as its executive producers Jake Kasdan (the director of the film, Zero Effect), Manish Raval, and Happy Walters. Featuring fourteen tracks from twelve artists, the album, at a decade old, features a number of artists still rocking and thriving a decade later. 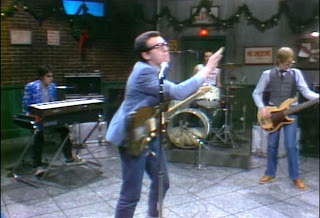 Above: Elvis Costello in December 1977, during his infamous "Saturday Night Live" set. Originally from 1977's My Aim Is True, "Mystery Dance" plays over the film's opening title sequence. Twenty one years old at the time of the film's release, the song is also the oldest track on the album. (For completists, an acoustic "honky tonk" version of "Mystery Dance" was included on a recent reissue of My Aim Is True, Costello's very first album.). Perhaps the musician most closely associated with the film and with director Jake Kasdan, folk musician Dan Bern was rising to fame in the mid to late 1990s, even being compared to Bob Dylan. 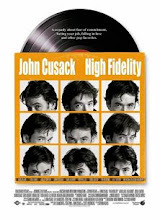 His 1998 album Fifty Eggs, released two months after the film on March 31, 1998, also featured "One Dance," which plays over the closing credits of the film. 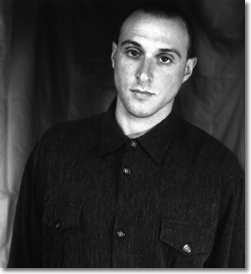 Produced by Ani DiFranco (who is mentioned in the song's lyrics), "One Dance" was released as a promotional single for the film, and Bern even penned an as of yet unreleased tune, titled "Zero Effect" (more about which in tomorrow's entry on that rare title track). [B]y the summer of 1996 I had formed a new band with accomplished musicians that I’d met on the road, service stations, Venues and Airports. 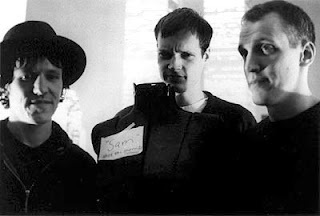 I wrote some new songs at the time with Scott Shields (Gun & Shakespeare’s Sister), Jimmy Hogarth (Shakespeare’s Sister) and Martin Slattery (Black Grape) and within 3 months we were being courted by Record Companies in America. By the end of the year we had jumped the UK ship and signed to Sony/Work Group in Los Angeles, which became our new home and the Band Bond was formed. We produced the Album ‘Bang out of Order’ with Matthew Wilder of No Doubt fame and courted the services of the legendary Grammy award winner engineer/mixer Andy Wallace of Jeff Buckley, Nirvana and Foo Fighters fame. Bond toured the U.S extensively with Spacehog and on our own before Fatherhood forced me to make a decision to stay in America or come home. I came home. The band split . . . The opening bars of "Starbucked" played as one would access the official Zero Effect website. In the film, just as Daryl Zero (Bill Pullman) and Gloria Sullivan (Kim Dickens) have shared a vanilla malt and bonded as only they can, the camera begins to drift away from their table and the deep voice of Nick Cave abruptly overtakes the film. He sings: "I don't believe in an interventionist God. But I know, darling, that you do," which, really, is a distracting sentiment. Originally from 1997's The Boatman's Call, "Into My Arms" is perhaps the only song in the film which makes its presence known with such authority that its breaks the aesthetic distance. Above: Mary Lou Lord, circa 1998. In the mid to late 1990s, alternative rocker Mary Lou Lord was most famous for her alleged dalliance with Kurt Cobain and Courtney Love's subsequent trashing of her during online chat sessions. Also on 1998's Got No Shadow, "Some Jingle Jangle Morning" makes reference not just to the phrase from Bob Dylan's "Mr. Tambourine Man," but also Guns N' Roses, with its reference to "Mr. Brownstone," slang for heroin. 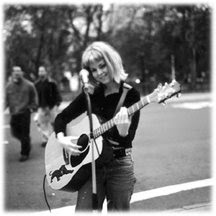 Since 1998, she has offered the world acoustic covers of both Van Halen's "Jump" and Bruce Springsteen's "Thunder Road." Lord did not respond to a request for an interview. 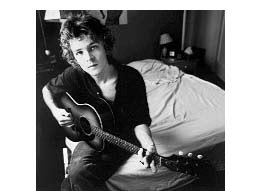 Above: Brendan Benson, circa 1998-1999. Now a member of The Raconteurs along with Jack White, Jack Lawrence, and Patrick Keeler, in 1998, alt-folkster Brendan Benson was a relatively unknown commodity. He had but one album, 1996's One Mississippi, under his belt, and it was from that record that "Emma J" came. 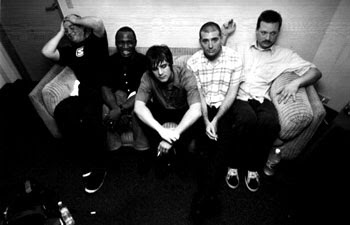 The Greyboy Allstars, circa 1997-1998. If any artist's music defines the film, it is that of The Greyboy Allstars, the funky jazz or jazzy funk San Diego based group that scored the film with their upbeat and offbeat contributions to its score. In an interview with Chronological Snobbery, GBA member Michael Andrews remembers being "contacted after Manish Raval had been listening to our West Coast Boogaloo cd." But no tracks from that album were used in the film. "All the music we made specifically for the movie," says Andrews. "None of the stuff existed before ZE." The approach was....watch the film, write some music. We all wrote stuff separately and brought it in after seeing the film. We started at my studio in San Diego for about a week just writing and adding to what others had brought in. Then we holed up in a small theater to see how the themes would work with picture. The music editor [Jonathan Karp] was there to help us find the right tempos to work best with picture. Jake manipulated the arrangements. Once we had most of the main themes penned, we spent ten days in the studio recording directly to picture. Being it our first experience-we were pretty green. We knew as far as what mood was needed per music cue-as dictated by Jake's score notes. Some things were easier than others. The longer & trickier cues required tweaking and refitting. Usually it's just one guy composing, and then he gets an orchestra to perform it. We were a basic line-up of sax, drums, bass, guitar, and keys. You'd think it would be limited, but there's a pretty wide palate of sounds you can get with something that simple. The basic rules for scoring a film is a main theme, and thematic material for the main characters, love scene, chase theme etc. I was starting to get into film music around this time. I loved espionage/detective/spy music, so there was a piece I had written that had a sort of surf/spy melody well before the film was offered to us. It fit perfectly, and was easy to reharmonize and shift the melody around to suit whatever the main character (Darryl Zero) was up to. Everybody came up with tons of ideas. We actually ended up with too much material, so we had to ditch some cool things. As for myself, I thought everything fit well, and was well written. I listen to what we did every year or so from a CD that was given to us by the music editor. I think it's pretty interesting stuff. Of course, it was Mike's introduction to his movie scoring career. For a big movie company to take a chance on us was a gamble, and I think both parties ended up happy. "I think it was one of the most creative things the band has ever done together, and for me it was the beginning of my involvement in film music," Andrews notes. 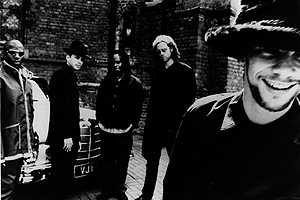 In early 1998, Jamiroquai was chiefly known for its single and video, "Virtual Insanity," which had become popular the year before. 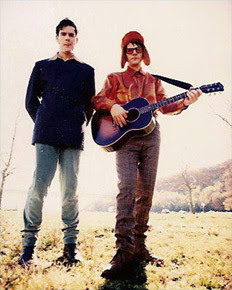 But what can be said about Jamiroquai's contribution to this film when that band will be remembered in far more detail for its contribution to a later quirky comedy: Napoleon Dynamite (which was, incidentally, a previous alias of Elvis Costello, also on the Zero Effect soundtrack with Jamiroquai)? Jake was into my band Candy Butchers and asked if "Till You Die" could be included. Of course...I was thrilled. When I went to the New York premiere I LOVED the movie and couldn't believe how cool the song worked in the diner scene. In November of 2007, Viola released to the Internets "Girly Worm" from his new album, Lurch. He was also involved with the soundtrack for Walk Hard: The Dewey Cox Story, released in late 2007 and directed by none of than Jake Kasdan. Viola provided the lead vocals for the song "That Thing You Do!" as a part of the 1996 Tom Hanks film by that name. I had just signed with WORK GROUP records, and EMI had my music publishing. I'm not sure if the song was something pitched through EMI or from the co president of WORK Jeff Ayeroff. What I DO remember was the experience of being escorted to the premier with Jeff, my very FIRST movie premier, btw....and being a country bumpkin of sorts, it was also at the after party for the event that i experienced sushi for the first time. A California roll. Ha! I thought it fit in just fine - but I'm biased. I remember thinking it was a lil quiet - but I'm also biased on that one too. I'm just glad i liked the movie, I've had songs in movies before that weren't necessarily directed towards my own demographic. But this was something i could be proud to be a small part of. I really dug the film. I briefly met Jake the evening of the premier, and he was so young - I remember thinking "this has got to be such a big deal for him, he must be so stoked" and I was so happy for him. Especially after seeing the film. 'He did good, real good', as they say. 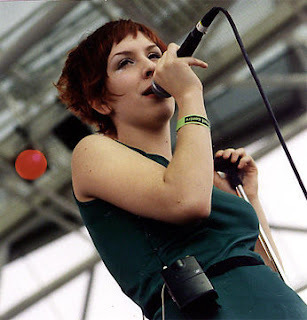 Her first full length record, "Breath from Another," was released three months later in April of 1998. Thermadore's "Three Days" came from that band's 1996 release, Monkey on Rico (to which Pearl Jam's Stone Gossard contributed). Somewhere along the way, the band folded, and its legacy, if any, is left mostly unpreserved on the Internets. I got a call from someone who was putting the soundtrack together and he asked me if he could use the song. I was blown away, and very excited to be asked. At the time, my band mate Elliott Smith had a few solo songs in Good Will Hunting and was having enormous success from it. I thought it was cool that one of mine got to be in a movie, too. I remember I went to see the movie by myself at a multiplex in Portland, it was out at the same time as Good Will Hunting, and I walked passed 3 theaters showing GWH, all the way to the very end of the hall where the smallest theater was, and sat down with about half a dozen other people to see Zero Effect. I thought the movie was awesome. Heatmiser broke up shortly after we made that record and I started a new band called No. 2. I used the money I made from having my song in this film to pay for the recording sessions of our first record "No Memory." [I]t's played in a scene where Ben Stiller is sitting at the bar, and the song sounds like it's coming from the Juke Box. they filmed it at this grimy club called Satyricon that had a magnificent juke box of all-local bands. It was a triumph for a band to get one of their records on it. Ironically, Heatmiser never actually made it on to the real juke box. It took me a while to realize it was my song when I was watching the movie. My first reaction was that my voice sounded way off key. It was almost impossible for me to pay attention to the movie while it was playing, I was so distracted by how weird I thought it sounded. Looking back ten years to the song's inclusion in the film, and twelve years to its official release on the Heatmiser album, Gust appreciates his musical work product. "I like that song, I like the way we recorded it, and I like the story it tells," Gust recalls. "I read a description of the song in a record review that I really liked, they said the song sounded like a cowboy hanging his hat on a hook at the end of a long day, and his head comes off with it." Tomorrow: In tomorrow's coverage of the Zero Effect tenth anniversary, Chronological Snobbery focuses on Dan Bern's unreleased song "Zero Effect" and offers a new interview with folk musician Bern thereupon. Props to you for celebrating such a wonderfully quirky little film. It is one of my favorites. I'm not a big fan of the soundtrack (which I own), but I dearly love the Nick Cave track. What a powerful song. Neil Gust is wrong about the location of the bar in which Steve Arlo sits while his song plays on the "jukebox". It is Kell's on SW 2nd, not Satyricon on NW 6th. Jake just filmed it that way...all gritty looking (thanks to the work of DP Bill Pope). I just happen to know because I was Jake Kasdan's assistant. Love to read this stuff, thanks! Absolutely love ZE. Thanks for your blog, but my question is this: If The Greyboy Allstars scored the film, how on this green earth can I get my hands on the music in one of the final scenes? It's the guitar background music during the scene where Zero is sitting in Gloria's apartment and she calls from the airport. I would love to purchase that track. Any ideas? Thanks, Em. To Em... I can get you whole score if you want it. It has every cue The Greyboy Allstars did for the film. Best composition ever. In our second anniversary we were use this soundtrack. So nostalgic. Thanks you very much for remind me vere did I get this song: http://www.melodyloops.com/music-for/anniversary/. Some of this songs, you should heard too.